Take it from the experts: The best time for finding shells is the hour on both sides of low tide, especially after a storm with strong easterly winds. 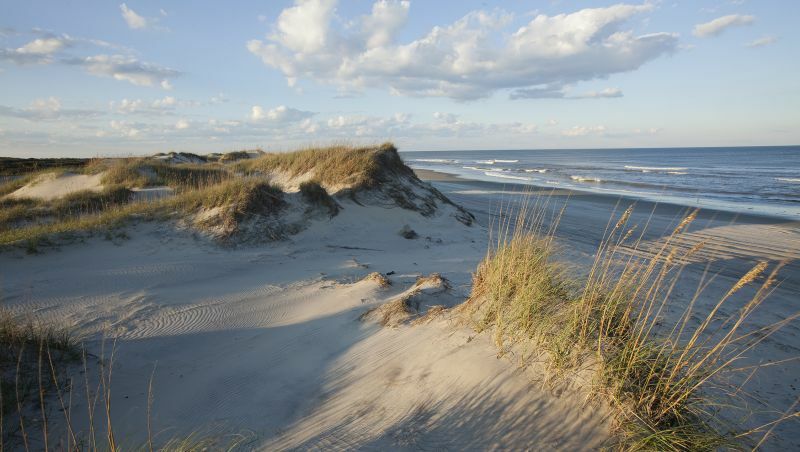 Peaceful or busy, current-washed or calm, there’s a beach for you on North Carolina’s 300 miles of barrier island coastline. But within that variety is at least one similarity. They’re all great for hunting seashells year-round. You’ll find dozens of types of shells on the state’s beaches. The Museum of Coastal Carolina in Ocean Isle Beach and the North Carolina Maritime Museum in Beaufort display that breadth in their extensive exhibits. But if you want to touch or bring some home, you’ll need to find your own. Successful shelling requires a keen eye and plenty of persistence. You’ll also need to stick to a schedule: The hour on both sides of low tide, especially after a storm with strong easterly winds, is most productive. And you can’t dismiss location. Some beaches are best for finding certain shells, such as these eight, the most prized of any found in North Carolina. This shell, which measures 8- to 12-inches long, features a creamy yellow-gray surface streaked with purple. Like other whelks found here, it’s often misidentified as a conch, which are found farther south. Beach to comb:Follow N.C. Highway 12 north to Corolla, where the blacktop disappears into the sand and travel continues by foot or off-road vehicle. It’s one of the best spots to see wild horses, the descendants of those Spanish explorers brought 500 years ago. Remember to keep a safe distance; the horses are unpredictable when spooked. This shell has a left-handed spiral and uneven streaks of purple and brown across a grayish-white field. They measure from 4- to 16-inches long. Beach to comb: Search the sand from Buxton to Frisco, which lines the inside of Cape Hatteras Point’s “hook,” a natural shell collector. The gently sloping bottom and warm Gulf Stream water makes wading easy. 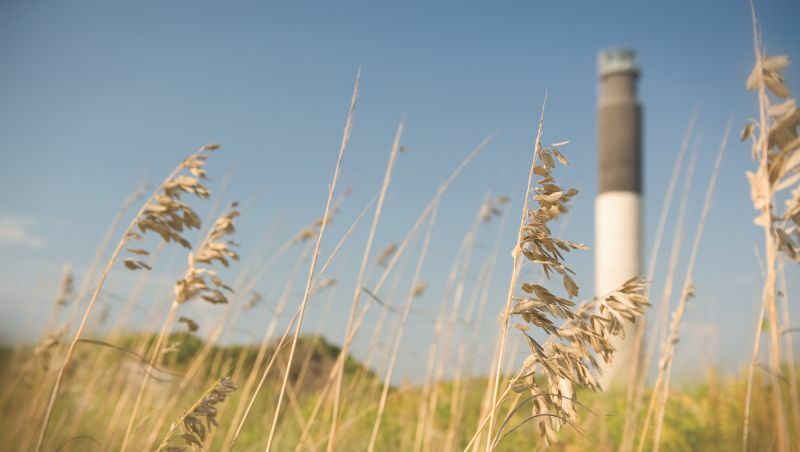 And you’re always within sight of candy-striped Cape Hatteras Lighthouse, the most popular of the state’s seven coastal lighthouses. 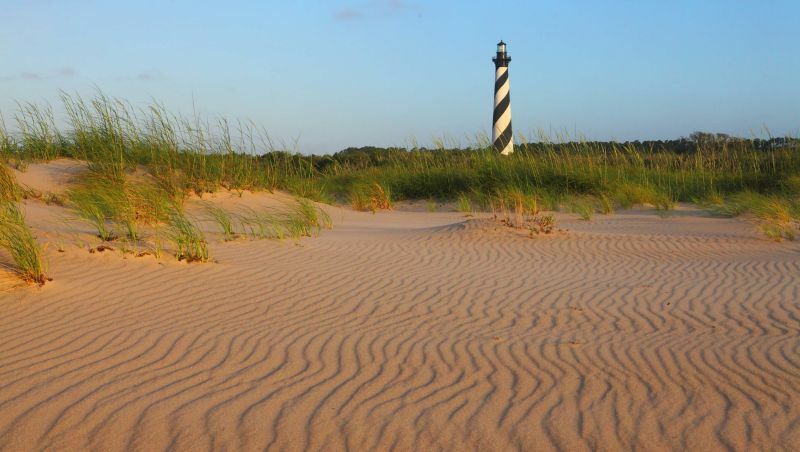 Beach to comb: Cape Lookout National Seashore’s isolation and lack of development improve the odds of finding this treasure. To get there, hop the passenger ferry at Harker’s Island, keeping an eye open for Shackleford Banks wild horses along the way. After shelling, climb the lighthouse, which was built in 1859, or watch more than 250 species of birds before returning to the mainland. The carnivorous creature that left behind this circular shell consumed several small clams per day. Also called a shark eye, it measures from 2 to 3.5 inches in diameter, has four to five whorls and a glossy gray color. Beach to comb: The farther you walk into Freeman Park, the better your chance of finding a moon snail. The park, which is at the northern tip of Carolina Beach, is a popular place to drive off-road vehicles (permit required). It also offers swimming, fishing and camping. The round shell of a sea urchin, it’s tan to white in color and measures 5 to 6 inches in diameter. Its five slots resemble keyholes. Release those that are brown or green and sport fuzz; they’re alive. Beach to comb: The soft sands of Hammocks Beach State Park’s Bear Island, which are only accessible by ferry or private vessel, hold numbers of whole sand dollars. 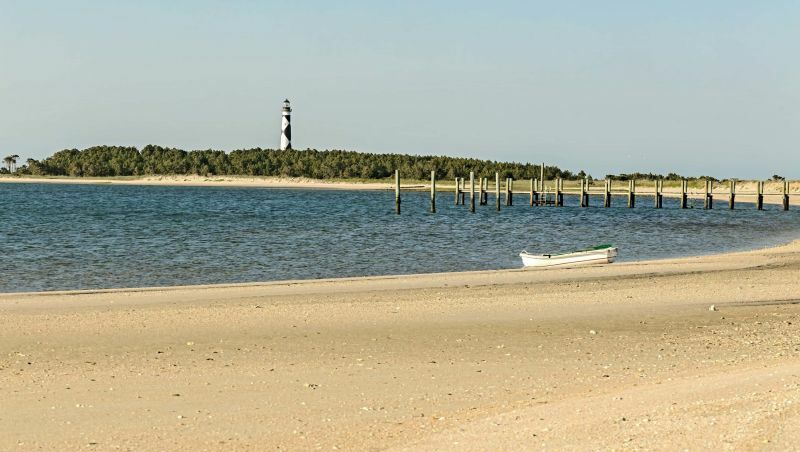 The island also offers a lifeguard-patrolled swimming area in summer; excellent fishing for puppy drum, flounder and blue fish during fall; and uninterrupted star gazing from primitive campsites. You’ll need some luck to find this one. Its thin shell – white or light brown in color and measuring 5 to 7 inches long – is extremely fragile, so it’s rare to find one intact. Beach to comb: Caswell Beach on Oak Island, one of the state’s southernmost barrier islands, is on the northern edge of this shell’s range. It’s also an important nesting site for endangered sea turtles. 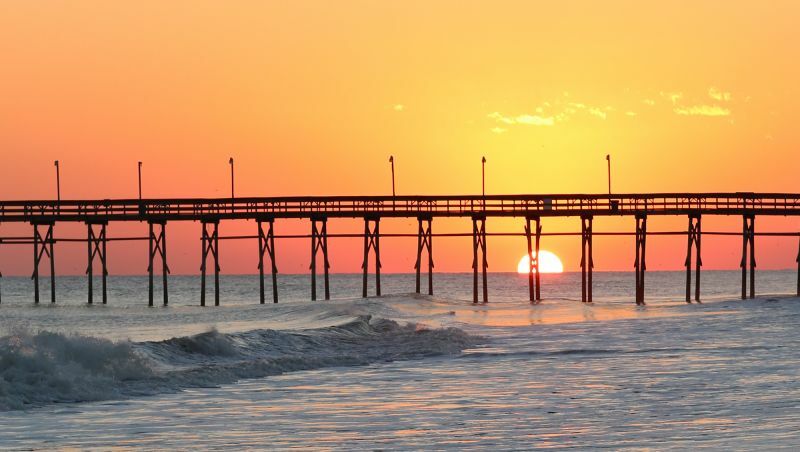 And like all the east-west oriented Brunswick County beaches, it’s one of the few in the world where you can watch the sun rise and set without moving. Winter storms bring this shell to shore. Fragile like the giant tun, it’s slightly longer – 6 to 10 inches – and deep smoky brown in color. 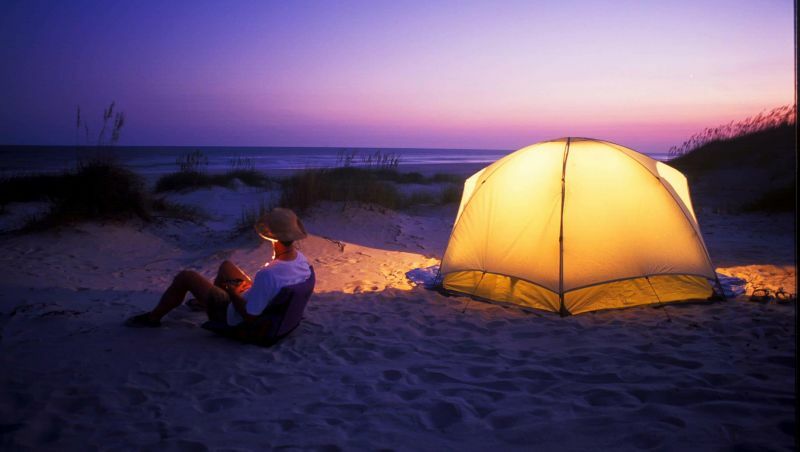 Beach to comb: Your best bet for finding these is Holden Beach, which National Geographic Traveler magazine named one of the best for families. During the day, reach its plentiful sun and surf through more than 20 public access points. After the sun sets, grab a flashlight and search for ghost crabs, which scoot between the low- and high-tide marks. While the cagey crustaceans always go free, you’ll keep the memories forever. With a smooth and graceful shape, this thin-shelled beauty is pearly gray with splotches of olive green or tan. It also may have dark brown parallel bands, and it can be from 2 to 4 inches long. Beach to comb: This warm-water shell is most likely to be found at Ocean Isle Beach. Here you’ll find plenty of another type of shell in October, when the annual North Carolina Oyster Festival is celebrated. The quiet, family-friendly beach is a popular surfing spot, too.